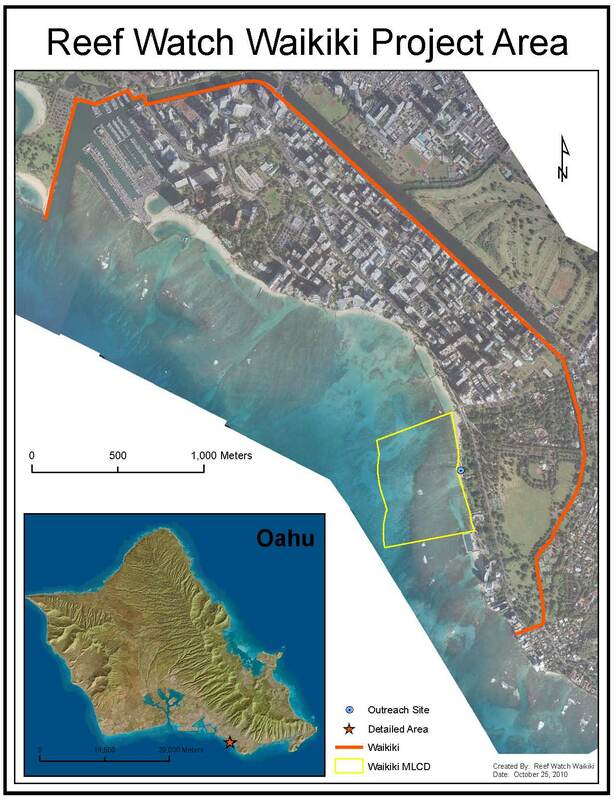 Map illustrates the boundary of the Waikīkī Marine Life Conservation District (MLCD) (yellow); geographic boundary of Waikīkī, as defined by our project which includes Kapiolani Park (orange); and Reef Watch Waikīkī’s designated outreach site in Queen’s Surf Beach (blue). 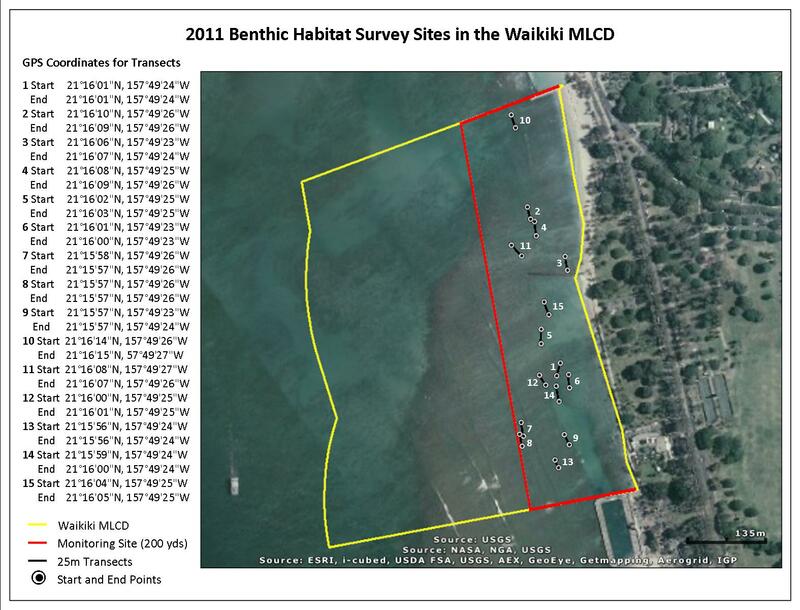 Map shows the site where Reef Watch tested project-monitoring protocols. 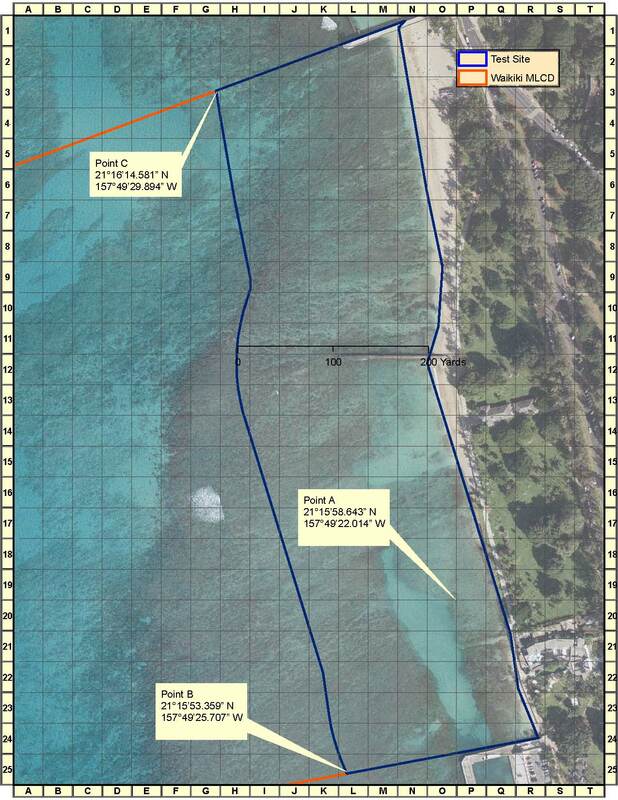 The test site extends 200 yards from the shore (within the MLCD). Objectives included: testing algae identification methods for point intercept and percent cover using a 0.5m² and 1m² quadrat and finding a random point (Point A shown on map) and boundary point (Point B shown on map) using a GPS unit.